The recent news that Conan O’Brien will be replaced by Jay Leno has caused white people to erupt with rage and hostility. You might even expect them to lash out and do something about it like take to the streets or write a letter to NBC to voice their dissatisfaction with the network. But no, white people will solve this problem the way that they solved the election crisis in Iran – through Facebook and Twitter status updates. In 2009, millions of white people took 35 seconds to turn their twitter profiles green, and consequently sent a very powerful message to the leaders of Iran. Their message was that they wanted their friends to know that they would stop at nothing to ensure freedom and democracy for the Iranian people. Thanks in large part to that effort Iran is now completely democratic. 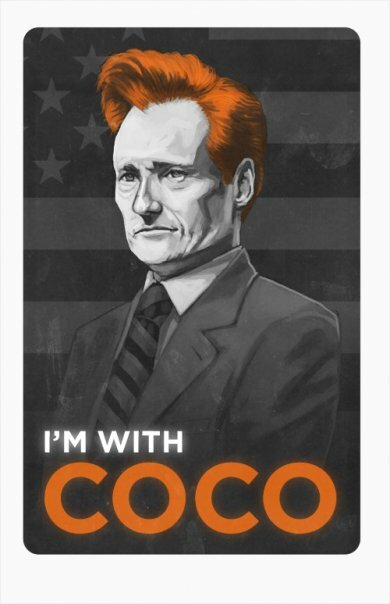 With that issue settled, white people are launching a similar campaign for Conan that is sure to have similar results. It is not hard to understand why white people love Conan O’Brien, he embodies so many of the things they already like before he even opens his mouth: Ivy League Schools, Red Hair, the Boston Red Sox, Self Deprecating Humor, The Simpsons, and Bad Memories of High School (likely, but not confirmed). Seeing him on television five nights a week is a comforting reminder of community to the white people who still have televisions. But if your plan is to try to use Conan O’Brien as a way to get white people to become more interested you, then it is imperative that you understand a few key rules. Firstly, all white people love “the masturbating bear,” if you don’t know what this is, do not worry. Just state your love for the character, and the white person you are talking to will simply fill in the rest. Secondly, all white people believe that Andy Richter never should have left the show. And finally, you should do your best to develop a “Triumph the Insult Comic Dog” impression. All white people already have one, so you might as well try to fit in. Complete these steps and watch your friendship with white people become considerably smoother. Now, the biggest and most important thing to remember is to never, under any circumstances bring up a Conan O’Brien sketch or joke that has taken place in the last three years. You will be met with only blank stares. For you see, while white people will fiercely support Conan O’Brien in any public forum, they always fail to support him in the only way that actually helps – by watching his show. Note: Under no circumstances should you ever mention that you prefer Jay Leno. This might cause white people to think you have the same taste in humor as the wrong kind of white people, or worse, their parents. Stuff White People Like supports Conan O’Brien.